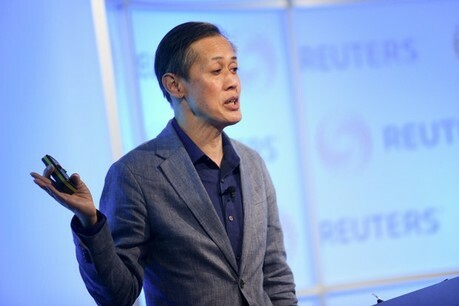 Reuters is driving its journalism with human judgement and machine capability, using artificial intelligence tools News Tracer and Lynx Insight, explained Reg Chua (pictured), executive editor, Reuters at the newsrewired conference last week (7 November). The ‘cybernetic newsroom’, as he described it, relies on the combined strength of humans and machines, bringing out the best in each other. Lynx Insight was designed to augment human journalism by identifying trends, key facts and suggesting new stories reporters should write. By using automated data-sifting on a vast scale, alongside algorithms programmed by Reuters journalists, the aim is to offer fresh, data-driven angles for audiences. Initially geared towards their market coverage, Chua said that there could be future applications to adapt Lynx Insights into other fields, such as sports coverage, where it could produce reams of stats, reports and rankings to go in pre- and post-match coverage. This follows Reuters’ previous tool News Tracer, which Chua says can help journalists jump on breaking news stories on Twitter, and weed out unreliable sources, by fusing the best of the human and machine capabilities. The AI tool sifts through the 700 million daily tweets in real time, and flags up any potential breaking news stories which meet certain newsworthiness and veracity requirements programmed into the algorithm. This would look for clusters of similar tweets to run against ‘newsworthiness rating’ and then verifies the source against numerous factors on their profile such as followers, attached media, links and tweet structure. The tool mimics the initial journalistic procedure on a scope and speed impossible for a human. It then presents these findings to the journalists to complete the final independent line of verification themselves to ensure the source and story are fit for publication. Chua said this is another example of how collaboration between human and robot journalists can work for a synergised news gathering and writing process. “We think about how both sides work best together. We can generate sentences out of data and create insight. This story was originally published on newsrewired.com as a part of conference coverage. Head to newsrewired.com for more stories.